The uppercut is a power punch thrown from the waist upwards aimed at underneath the opponent’s chin or the solar plexus area of the body. It’s commonly used when fighting on the inside, but can be thrown from mid-range although it loses some of its power. 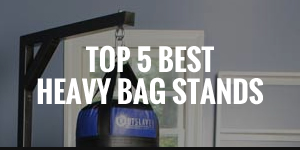 You’re able to practice your uppercuts on certain types of heavy bags. There are many different techniques to throw the uppercut in any given situation. 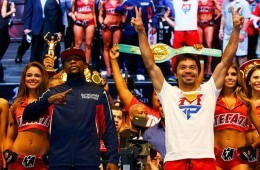 Some boxers that utilizes the uppercut effectively include Juan Manuel Marquez, Lucian Bute and Mike Tyson. It’s a powerful punch if thrown with the right technique since it usually comes from the waist and requires the rotation of your entire body. It comes from an angle that is out of your opponent’s eyesight so not only will it catch them off guard, but it’s also more damaging as they won’t see it coming. 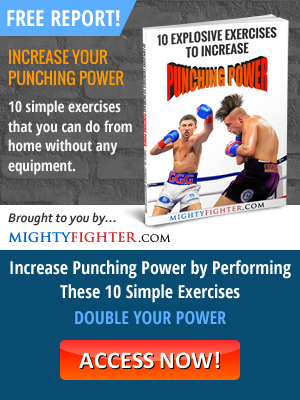 It’s a great punch to set up other punches resulting in quick and powerful combinations. It’ll leave you open for counter-punches and ‘same time’ punches as the uppercut requires you to temporarily drop your guard. 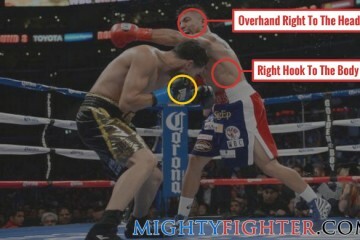 Unless you’re super-fast and accurate, the uppercut must be thrown mid-range to close-range. 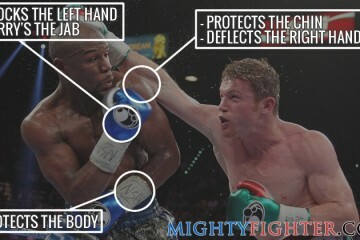 If you miss the uppercut then it usually leaves you off balance and even more susceptible to counter-punches. Keep Your Guard Up: Unless you’re using the shoulder roll to set up a counter uppercut, then you should always keep your free hand to guard your chin when throwing the uppercut. 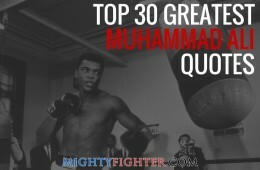 Increase Power: To get maximum power, you must bend your knees, rotate your body and throw the uppercut from the waist. 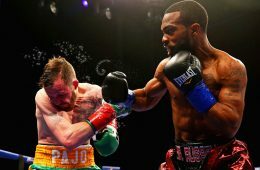 Protect Your Chin: You should move your head or bring your hand back to protect your chin after throwing the uppercut, whether you hit or miss the target. Don’t Over-Extend: Don’t throw the target from too far out otherwise you’ll leave yourself exposed and off balance. Go to the Body: Don’t always aim for the head. An uppercut to the body can be just as effective, if not even more because it rips upwards into the solar plexus. 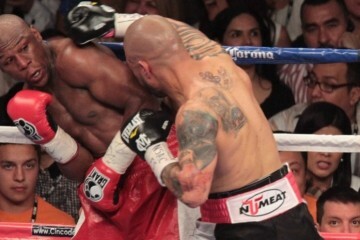 Thrown with the rear hand and usually set up by using the jab, the rear uppercut is also a great counter-punch. When thrown, you must use your lead hand to guard your chin (which Marquez shouldn’t, but drops as he throws the uppercut in the clip). To throw the lead uppercut, you should dip your head to the outside of your lead foot and lean in slightly, twist your hips and rotate your body in an upwards motion while throwing the punch at the same time. The dip of your head is very important because not only can it be used as a feint, but it’s necessary for slipping a punch as well. 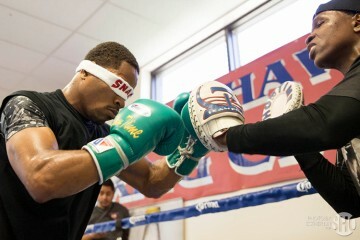 The lead uppercut can also be set up with a straight punch, but don’t forget to use your back hand to cover your chin. 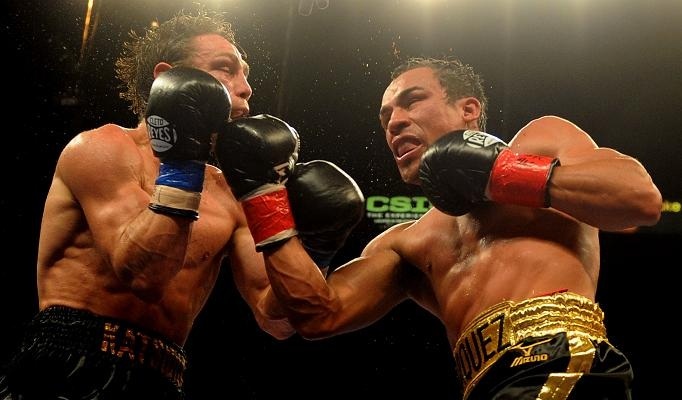 The clip on the right shows Juan Manuel Marquez setting up his lead uppercut with the straight right. Although he connects, the punch has little impact because he’s throwing it from too far out. Of all the different ways to throw the uppercut, the pull back lead uppercut is the safest to execute. This is because it’s usually thrown as your opponent is coming in, and you’re pulling back as you’re throwing the punch. This means that you’ll reduce the chances of getting hit, or at least minimizing the impact of an incoming punch. The uppercut to the body is deadly and can leave your opponent folded over in pain. You should aim for the solar plexus which is directly at the center of the stomach. The uppercut to the body is safer than throwing an uppercut to the head because it leaves you less exposed and is quicker to reach the target. The most effective method is to duck under your opponent’s punch and then immediately shoot the uppercut to their mid-section. 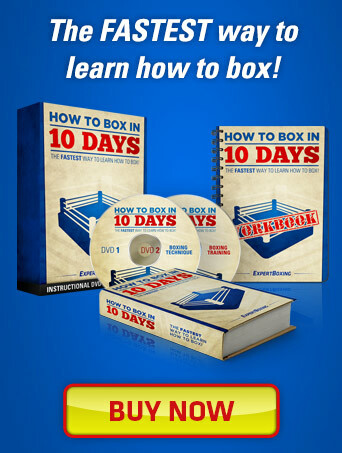 You’ll find that boxers who utilize the shoulder roll effectively such as James Toney and Floyd Mayweather, they usually counter with the rear uppercut after rolling a cross or an overhand punch. This is because they’re in the perfect position to do so. 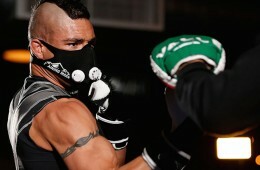 You can also just dip your body to the inside to slip a punch then come up with the uppercut as seen. Another way of countering with it is by ducking an incoming punch and then coming up with the uppercut to the body or head. 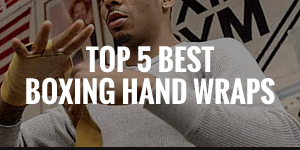 This requires good timing but when thrown correctly, it’s often very damaging because your opponent will usually be leaning in as he misses his punch. 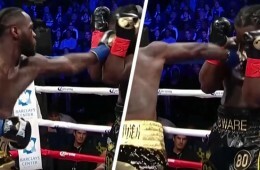 When the rear uppercut is thrown, it’ll leave you in position to throw the lead uppercut immediately after. 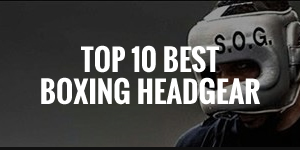 You can also pull back on the lead uppercut if you want to avoid a counter-punch. When you throw the lead uppercut, you can throw the rear hook, although it’s a bit more difficult to execute because it has a further distance to travel and your opponent is more likely to see it coming. As you can see from the clip, Bernard Hopkins misses with the lead uppercut but follows up with his right hook to knock down Felix Trinidad. 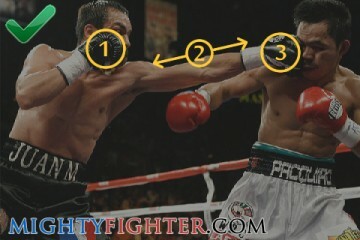 This is probably the most common combination from using the uppercut. 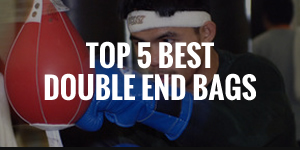 Once the rear uppercut is thrown, you can follow up with a short lead hook. 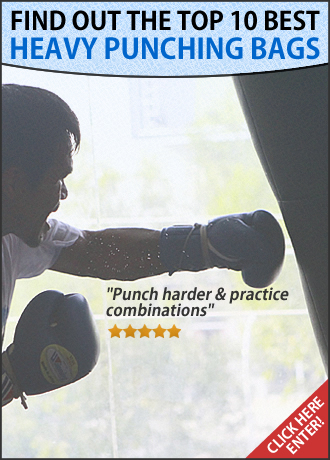 It’s so effective because the punches are short, therefore making them faster to reach the target. The straight punch following the lead uppercut is also another quick and effective combination, especially if you miss with your initial punch. Your rear hand should be guarding your chin already, which makes it the perfect position to throw it. Just like with any punch, it’s always dangerous to over-extend. 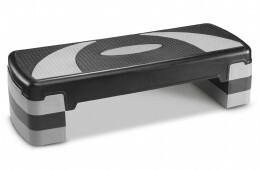 Not only does it leave you off balance and open to counter-punches, but it also increases the risk of injury. It’s especially risky to throw an uppercut from the outside because it’s unlikely to reach the target unless you leap in with the lead uppercut (also very risky!). Even if you do over-extend and manage to hit the target, it’ll end up losing a lot of power anyway thus making it ineffective. 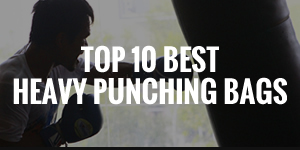 You should always keep your chin tucked in when throwing any punch. Moving your head when throwing the uppercut is also important and usually you’ll find that your head will move if you throw the uppercut with the correct technique. Throwing the rear uppercut will usually leave you open for the hook but you can reduce the chances of getting countered by bending your knees and dipping your head to set up the rear uppercut. 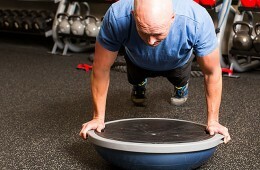 If your upper body is stationary then this will spell trouble for you. 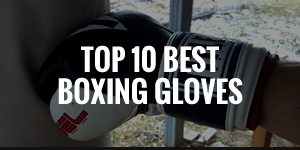 Keep practicing a variety of different uppercuts and understand when to and when not to throw it. 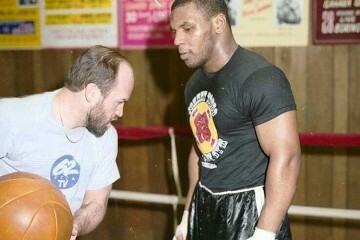 Start off with the type of uppercut you’re most comfortable with first and then improve on your technique. 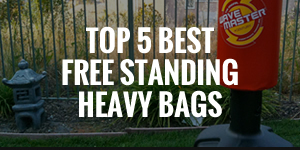 To work on the power of your uppercut, you would need a rounded heavy bag. You can also get a partner to hold the mitts and practice on slipping and countering. Once you’ve got the technique down on one type of uppercut, work on the other and soon enough, you’ll be fluidly throwing quick combinations with your uppercuts.